With 22 curations in Illinois alone, BiblioBoard has materials for kids, teens, and adults. Anyone who is physically in Illinois can access the collection without a login, thanks to RAILS (Reaching Across Illinois Library System). RAILS partnered with BiblioLabs to bring a collection of e-books that are available to any Illinois resident. There is no limit on simultaneous use; items in the collections can be read by 1 or 100 people at the same time. This means no hold queues and no waiting for titles. BiblioBoard apps are available for download for both iOS (iTunes Store) and Android (Google Play). We strongly encourage you to create a profile the first time you visit the collection. BiblioBoard Library provides geolocation-based authentication through the IP address of your computer or GPS coordinates of your mobile device. Since BiblioBoard authenticates by geolocation, visiting the website or opening the app will take you directly to the RAILS collections. 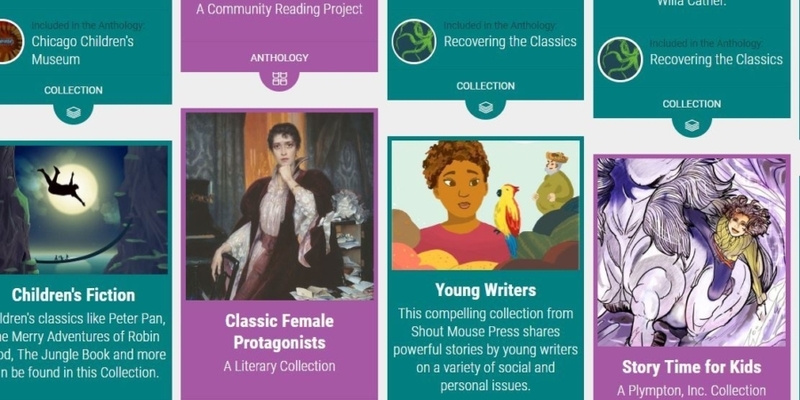 However, a BiblioBoard Library profile will allow access to the collections outside of Illinois, as well as the ability to download content for offline reading and to add bookmarks and notes. In addition, you can create an account while in Illinois and be able to access the collection outside the state by logging into your account. If you need help using BiblioBoard, please feel free to stop by the Decatur Public Library for assistance.